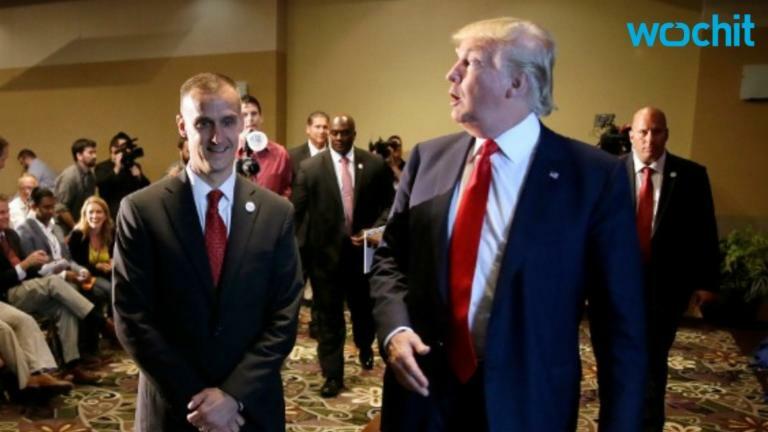 Republican consultant Cheryl Jacobus has filed a lawsuit against Donald Trump and Trump campaign manager Corey Lewandowski for $2 million for injury to her professional reputation and damages for emotional distress. The suit claims that Trump and his campaign "intentionally, purposefully, and with full knowledge of their falsity published defamatory statements unambiguously directed at plaintiff with the purpose of making her an object lesson to those who might question Trump and his fitness for office, to incite a virtual mob against her, to destroy her reputation, and to bully her into silence." Jacobus claims that Trump and Lewandowski both told media members that she essentially begged for a job with the Trump campaign. Jacobus says that these claims are false and Trump actually recruited her for a position, but boorish behavior by Lewandowski led her to believe it would not be a good fit. Supporters of Republican U.S. presidential candidate Donald Trump stand in line before the start of his rally in Albuquerque, New Mexico, U.S. May 24, 2016. REUTERS/Jonathan Ernst FOR EDITORIAL USE ONLY. NO RESALES. NO ARCHIVES. Supporters of Republican U.S. presidential candidate Donald Trump cheer on their candidate at a Trump campaign rally in New Orleans, Louisiana March 4, 2016. REUTERS/Layne Murdoch Jr.